Today the Transportation Security Administration (you know ’em as TSA) began allowing travelers to apply for its PreCheck program (or as TSA calls it, Pre✓[TM]). 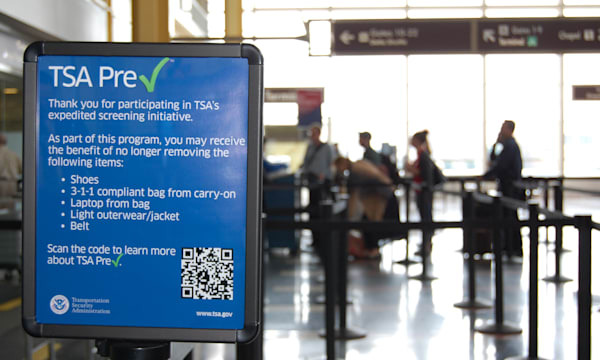 The new application process allows U.S. citizens to directly enroll in TSA Pre✓[TM], an expedited screening program that allows travelers to leave on their shoes, light outerwear and belt, keep their laptop in its case and their 3-1-1 compliant liquids/gels bag in a carry-on, in select screening lanes. To date, passengers have only been eligible through existing programs such as U.S. Custom and Border Protection’s Global Entry program and frequent flier programs with certain airlines, but this announcement will allow travelers to apply directly for the expedited screening program. TSA Lets Travelers Apply for PreCheck originally appeared on Gadling on Wed, 04 Dec 2013 16:58:00 EST. Please see our terms for use of feeds.